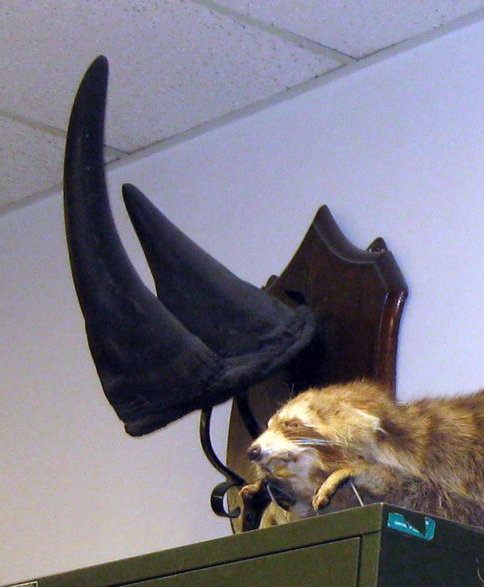 Mystery surrounds the theft of a rhinoceros horn from a natural history collection in the University of Vermont, in Burlington. Nobody knows its origins, or exactly when or why it was stolen. Its absence was first noted on April 27. It could have been taken as a prank, or it could be destined for the black market. That’s what happened following a series of heists of rhino horn from museums in Europe. Just over the past couple of months, close to 450 pounds of smuggled rhino horn have been seized in Vietnam, which is a main market. Much of that likely comes from rhinos illegally killed in South Africa, where 80 percent of the world’s rhinos live. There, roughly three rhinos are killed every day, with more than 1,000 killed in 2016. The Vermont horn came from a black rhinoceros, of which there are about 5,000 left worldwide. “The best guess is that it was donated to the university in the late 1800s or early 1900s and was put into the museum’s natural history collection,” noted Bill Kilpatrick, a biology professor at the University of Vermont. 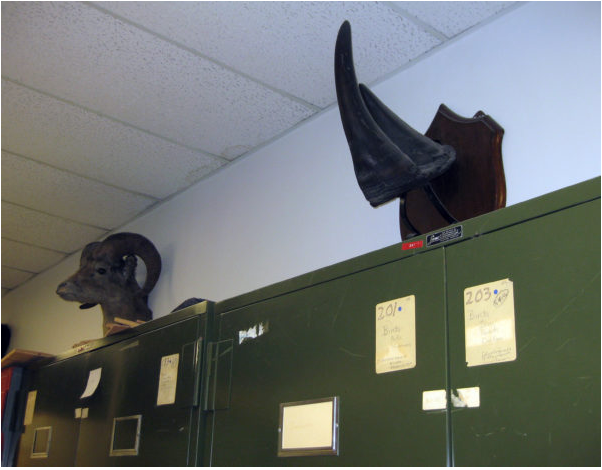 Eventually, he said, that collection, including the rhino horn, ended up in the university’s zoology department. So, where is it? Or where will it go from here? Campus police, together with the U.S. Fish and Wildlife Service, are offering a $3,000 reward for information leading to its recovery. Earlier this week the Service recovered a rhino horn stolen from another university and will be releasing details shortly. Until then, it joins other recent rhino incidents—from the attack on a rhino orphanage in South Africa that left two calves dead and staff brutalized to the killing of a rhino at a French zoo—to raise the question: Is there any safe place left for rhinos? Laurel Neme is a freelance writer and author of Animal Investigators: How the World’s First Wildlife Forensics Lab is Solving Crimes and Saving Endangered Species and Orangutan Houdini. Listen to her talk about the theft on Vermont Public Radio’s Vermont Edition. Follow her on Twitter and Facebook.